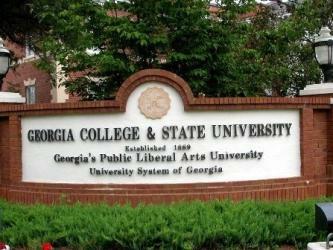 GCSU Welcome Sign: Explore the Georgia College campus and look for the official GCSU sign, also a key PokéStop. Stock up on things like eggs, poke balls and potions to get to the next level. Memory Hill Cemetery: Take the self-guided tour around Memory Hill Cemetery, where noted author Flannery O’Connor is buried, as well as many other famous Georgians. This location also happens to be a Pokémon gym, as long as visitors are respectful of the hours. 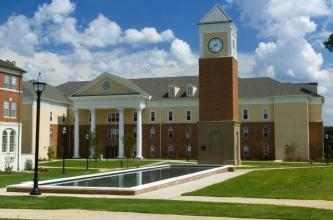 The Fountain on GCSU campus: Gather around the GCSU fountain with your team to conquer this popular gym. 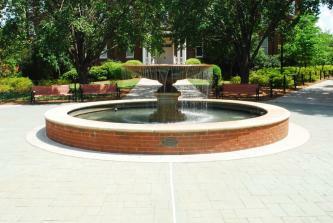 While you’re there, throw some spare change into the fountain, and it will be donated to the Make a Wish Foundation. Rotary Peace Monument: Stop and admire the first Rotary Peace Monument in the United States, which so happens to be a PokéStop. 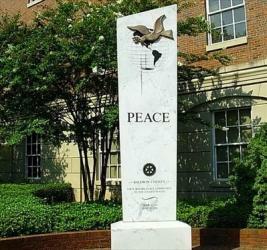 Located on Hancock Street in Downtown Milledgeville, you will get to collect eggs and poke balls while enjoying this beautiful monument. Visitor’s Bureau: Stop by the Milledgeville Visitor’s Bureau for the gym outdoors that marks the Ryan Howard Memorial. 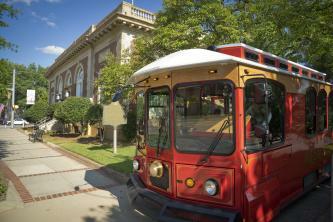 Train your pokémon at the gym and then stay for a trolley tour around Milly. Reflection Pool: Locals have also found several different pokémon around Milledgeville. By the Reflection Pool near the GCSU dorms, a Wartortle; around West Campus, Scyther and Pincer; and around College Station apartments, a Pikachu was found! Can’t get enough of Pokémon Go? 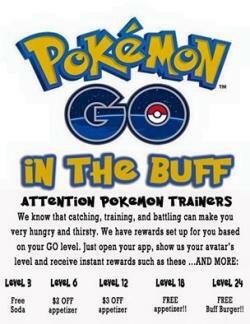 Head over to Buffington’s for their newest deal on sodas, appetizers, and even their famous Buff Burgers for Pokémon Go players! After you’re done with your delicious Poké-meal, enjoy some of SweeTreats flavor of the week, Pokémon ice cream!